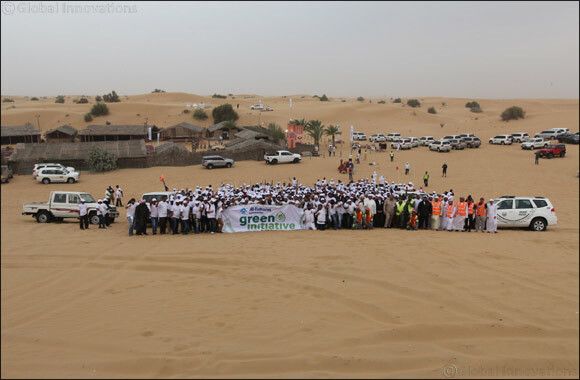 Dubai, UAE, March 26, 2019: As part of its efforts to protect the environment and keeping in line with the UAE Vision 2021, over 650 associates from Al-Futtaim Automotive, participated in a desert clean-up. Organised in association with Dubai Municipality and Dubai Police, the clean-up covered approximately one square kilometre of Dubai's deserts, resulting in four truck loads of rubbish including plastic, paper, carton and discarded food items, amongst other environmentally harmful material being collected. Al-Futtaim Automotive is the automotive division of Al-Futtaim and has been the industry leader for over 60 years. The division and its brands actively organize and promote initiatives, especially around green mobility.